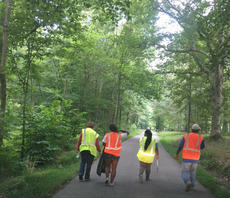 On Saturday, October 28, approximately 40 youth soccer players, parents, coaches and board members picked up trash along ten miles of LaRue County Roads. Despite the cold, wet conditions, we met at 8:45 a.m. at the Buffalo Fire Department to receive our safety gear and trash bags and to determine who would clean which roads. 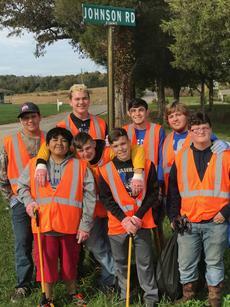 The LaRue County Wrestling Program participated in the Trash for Cash Program on Saturday, October 21. We cleaned up roads in the Upton and Sonora areas of LaRue County. We had 20 students and 6 adults participate in this community service. I recently participated in the Trash for Cash program, which benefited the LaRue County 4-H Teen Club. I, along with other club members, cleaned up roadsides in the Magnolia area. Our members completed pick up for a total of ten miles. We split up into groups to accomplish this task. We picked up lots of plastic and glass bottles, Styrofoam and plastic cups, tobacco dip cans, as well as many wrappers to various food items. We even found a toilet in a ditch. Another very common item found on the side of the road was cigarette butts. With the recent anniversary of my diagnosis, I was interviewed by The LaRue County Herald News about my journey with breast cancer and I also wanted to take this time to thank some other special people in this letter. On behalf of the Lincoln Days Board of Directors I would like to thank all those involved in the research and production of the new quilt block for CreekFront Park; our quilt block committee of Opal Dail, Beverly Heath, Rob Thurman and Iris LaRue. 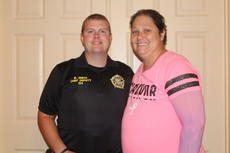 Also Mayor Kenny DeVore, Theresa Howard, Alex LaRue, Josh, Lynda and Clay Singer of Blazin’ Xpressions and Sgt. James Richardson. On September 16, several supporters of LaRue County Distinguished Young Woman participated in the Trash for Cash program. I am fed up with the way “political correctness” dominates today’s society. The 16th anniversary of the attack on America and New York’s World Trade Center is one of the times for reflection. There is truly nothing to celebrate in the extraordinary tragedy of 9/11.